“Screen time” refers to time spent using a device (e.g., television, game console, tablet, computer, smart phone). Increasingly, children are spending more time using a screen for learning and entertainment. Adults also are using screens both at work and home. Some children and adults find it difficult to “turn off” their devices. 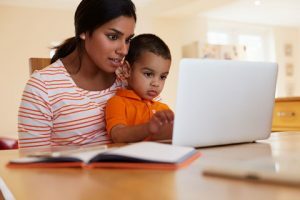 The American Academy of Pediatrics (AAP) is concerned about the impact that large amounts of screen time may have on children’s growth and development. There is a concern that increased screen time means children are missing out on time playing with real objects and toys and are less actively involved with others. In 2016, the AAP published a set of guidelines for parents that addressed the use of media with young children. What does research tell us about screen time and very young children? There are only a few good research studies on mobile devices and young children’s development. More work needs to be done to help parents, teachers, and caregivers make informed decisions about the amount of time that young children should be exposed to screen media. How can adults make the most of screen time? Limit children’s attention to screen content that is positive, engaging, and relates to their experiences. Young children should not be exposed to violent screen content. 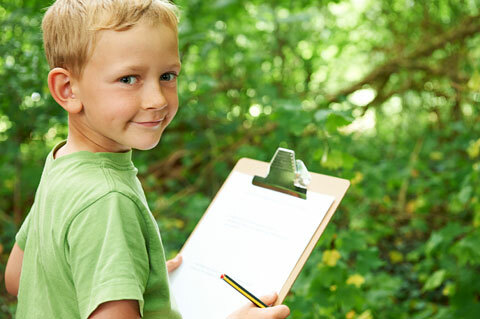 Help children connect what they see on the screen with items in the real world (e.g., go outside to look for birds after playing “Bird Riddles” on Starfall). 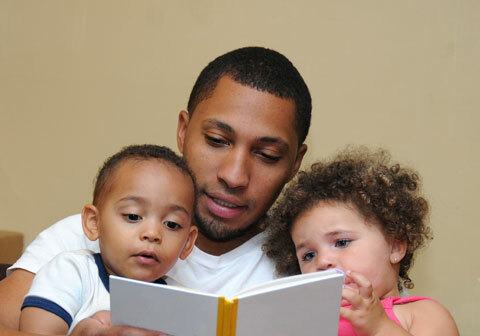 Interact with children while reading stories on a tablet or watching a video online. Ask them to make predictions about what might happen next (e.g., a parent can ask, “What do you think might happen when Little Bear opens the door?”). Watch responsive, child-focused TV shows and limit the amount of time the TV is on when children are present. Responsive children’s shows include characters that encourage children to repeat a word or answer a question. Avoid background TV noise, which can distract children from focusing on important learning. This can interfere with young children’s development in several important areas (cognitive, language, and executive functioning). What can adults do to model appropriate use of screen time? Children notice when the adults they love and respect consciously limit their screen time. Children value undistracted attention from the significant adults in their lives. Limit your screen use when you are with young children. Take advantage of time with children to build relationships. Engage in conversations while riding the bus, waiting in line at the store, and eating meals together. Turn off the TV when no one is watching it. Leave the phone(s) in the house and enjoy being outdoors with your child. Lerner, C., & Barr, R. (2014). Screen sense: Setting the record straight. Research-based guidelines for screen use for children under 3 years old. Zero to Three.